On National Handloom Day, meet the weavers of India! 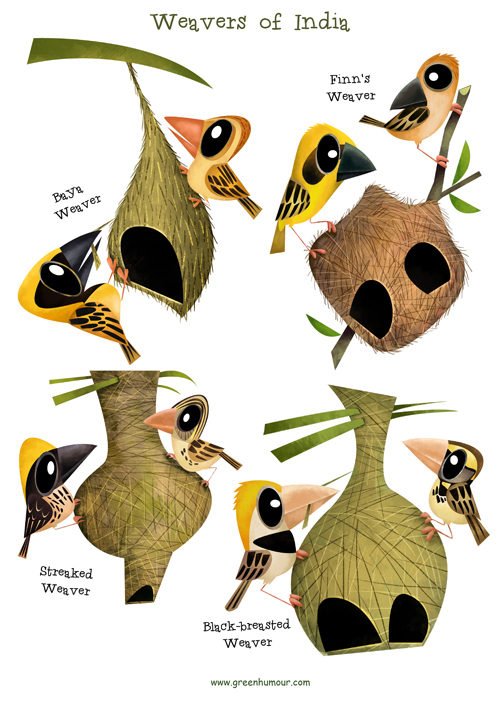 Weaver birds are small passerines known for making some of the most complex nests in the avian world. Out of the four species found in India, the Baya is the commonest, and the Finn's the rarest. Weavers are frequently associated with grasslands and reeds. Prints and merchandise available on my webstore here.